A continuous center rib improves the driving stability and steering precision - because the grooves are arranged asymmetrically, the adhesion on the road is optimized. Even at high speeds, Dunlop SP SPORT 01 offers a comfortable travel and good stability.This is achieved through the so-called Jointless Belt, causing the tyre only slight deformation when the speedometer is at its highest limits - even in curves it offers the highest possible stability. The tread compound is made of solid silica - this has a positive effect on the grip and shortens the stopping distances. The tread blocks were designed so that they disperse the water properly and leave little opportunities for aquaplaning. The block design of the profile has been selected so that the tyre barely vibrates - the result being a more comfortable ride. Because of the special tread pattern, the profile wears out slowly and evenly, thus increasing its usage period. The rolling resistance of Dunlop SP SPORT 01 is low - and therefore fuel consumption is not a an issue - ADAC summer tyre test gave a 1.8 rating. Even better, turned out to be the review for the performance on dry roads. Here, Dunlop SP SPORT 01 got for example a 1.3 for his short braking distance and even on a wet track the tyre did well and was certified by ADAC as a "very balanced tyre" and "very good in all safety-related disciplines." Prestigious magazines came to similar verdicts and recommend Dunlop SP SPORT 01 as a good summer profile. Not in vain it is used by many auto manufacturers as original equipment for their models, such as Opel Corsa and VW Caddy . You can get the tyre on mytyres.co.uk for numerous vehicle models. Order it today and take advantage of our free shipping (on orders of 2 tyres or more). On request we deliver the tyres directly to a fitting station. You do not have any in your area? 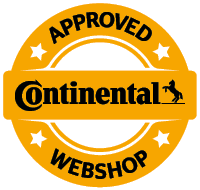 Then take a look at the list of our fitting partners located in your proximity and find a reliable service which can assist you with the tyre change.